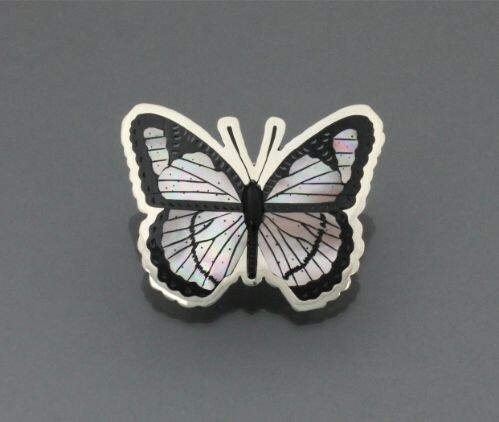 Here is one of Dale Edaakie's gorgeous butterfly pins. This one is an opalescent pink in color. Dale Edaakie has, of course, inlaid the butterfly pin by hand using shell on silver. The large pin measures 2 3/4" width x 2 1/4" height. It is signed on the reverse.